The media and advertising industry is known for encouraging workplace cultures that thrive on high stress. Here’s how a focus on wellness is changing workplace design and encouraging employee volunteering programs. A few months ago, Shri Ram Nath Kovind, the Hon’ble President of India addressed the unprecedented rise in mental health issues in India. While stating that the number of Indians suffering from poor mental health was greater than the entire population of Japan, he added that the country is on the verge of facing an epidemic due to lack of resources. India has nearly 57 million people who suffer from depression, which comprises around 4.75% of the country’s total population. The Indian workforce contributes a significant chunk to this statistic. 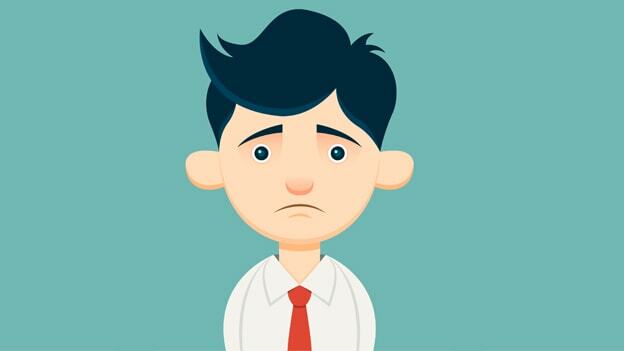 According to an ASSOCHAM study, almost 42.5% of employees in the private sector suffer from depression or general anxiety disorder. An increased work-life imbalance and the fact that Indian millennials spend an average of 52 hours a week at work, mental health and wellbeing is a critical issue in India. The media and advertising industry is one among the many sectors that has seen a steep rise in stress levels on a daily basis. A recent survey has indicated that professionals in this industry feel stressed more days on average than any other profession. Companies are increasingly pressurizing employees to deliver under tight deadlines which leave employees feeling drained in the quest for speed and efficiency. Sustainable employee health programs and mental health receives the spotlight only for a few days each year. Mental health and wellbeing must be built into the foundation of the industry and become every employee’s right. When an individual is mentally distressed, decreased levels of oxygen reaches the brain, which causes an increase in cortisol levels. This invariably affects critical thinking, decision-making, creativity, and concentration. These four traits are crucial for the industry to flourish considering all tasks involved require precision and efficiency. Stress thus leads to depression and burnout when suffered through for a long period. The media industry can thrive only when people are at their creative best. It thus becomes imperative for employers to emphasize work-life balance and culture which supports an individual’s wellbeing. Flexible dress code policies, standing desks, snooze pods and peaceful working spaces for introverts could be implemented. While other industries may implement methodologies like on-site fitness or weight-loss programs to keep employees energetic, the media industry could opt for the inverse. Quiet recreational spaces could calm their minds from the creative processes that may become overwhelming. As per a study conducted by researchers from the University of Central Michigan, natural elements like plants and sunlight contribute to a positive effect on employees, thereby eliminating depression and anxiety. The psychology and neuroscience of colors also play a critical role in people’s well-being. For example, green is an effective stress-buster, creating a sense of calm, while yellow imbibes energy. With organizations increasingly expected to behave as good corporate citizens, reward and development programmes are undergoing a revamp with holistic, end-to-end well-being programmes taking center-stage. These ensure positive work environments and thereby aid in talent and employee retention as well. Employees increasingly expect the companies they work for to do their bit for society and ultimately create a positive ecosystem. Any organization is a social institution before anything else. Thus, prioritizing and investing in mental health can help elevate productivity. Company leaders must raise the bar on addressing mental health when their cultures demand presenteeism, long hours and micro-management. A failure in this will result in loss of talent and repulsion in recruitment. The responsibility thus lies at the top of the pyramid where the need is to create flexible environments for employees to thrive and develop a balance between their personal and work lives. Arvind Jain is the CEO at NetBiz. Corporate Wellness: Is your organization focused on this critical business need?